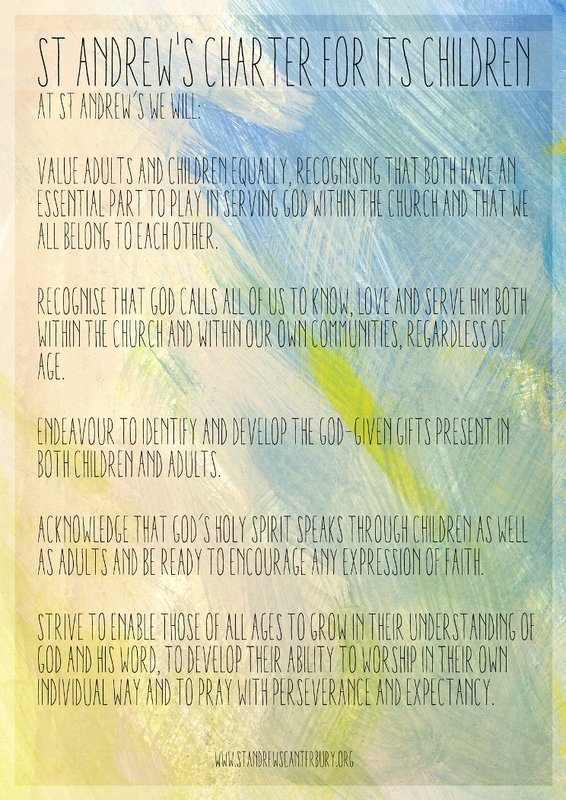 Value adults and children equally, recognising that both have an essential part to play in serving God within the church and that we all belong to each other. Recognise that God calls all of us to know, love and serve Him both within the church and within our own communities, regardless of age. Endeavour to identify and develop the God-given gifts present in both children and adults. Acknowledge that God’s Holy Spirit speaks through children as well as adults and be ready to encourage any expression of faith. Strive to enable those of all ages to grow in their understanding of God and His word, to develop their ability to worship in their own individual way and to pray with perseverance and expectancy.